Known for its consistent summer blooming, Threadleaf Coreopsis is one of the most popular and dependable perennial ground covers around. Both the Moonbeam and Zagreb varieties have won awards from national plant societies. 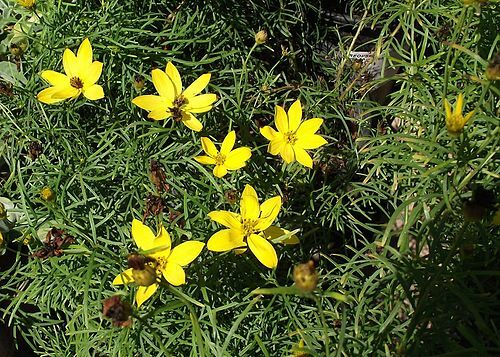 The threadleaf coreopsis is a sun loving plant. It is identified by leaves that resemble small needles. The blooms are showy yellow flowers for up to three months during the summer. Often there will be a second round of blooms into the fall. It is also a great pollinator, attracting bees and hummingbirds. 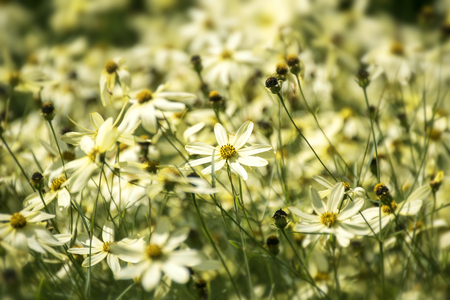 Coreopsis grows by spreading along the ground, forming mounds of foliage that range from one to two feet tall, depending on variety. They grow best in full sun, but will tolerate some light shade. It is very tolerant of dry conditions after it is established. 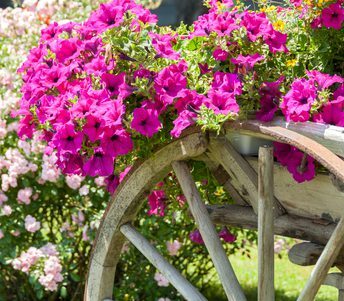 It requires only occasional watering in the growing season. Coreopsis is forgiving on soil conditions. It can thrive in most any soil, including heavy clay, as long as it has been amended with organic matter and has adequate drainage. As mentioned above, two of the most popular and reliable varieties are Moonbeam and Zagreb. Both are great plants and both are similar, but there are some differences. Which one is preferable is strictly up to the individual’s preference. Moonbeam has a creamy light yellow color, while Zagreb is a little brighter yellow. Zagreb is a bit more cold hardy, adaptable as high as zone 3, while Moonbeam adapts to zone 4. As mentioned above, Moonbeam gets about six inches taller than Zagreb. Zagreb, in turn, spreads a little more aggressively.